For a Deerfield Beach Slip and Fall Attorney you can trust, call Robert Gluck from the Law Offices of Robert E. Gluck, P.A. He has the skills and experience you'll want when dealing with the legal proceedings of your case. He will make sure to be the voice you need and fight hard to get you the compensation you deserve for the injuries you've suffered. Since 1989, Robert Gluck has been representing clients as a Deerfield Beach Slip and Fall Attorney. When you hire him, he will immediately investigate to try to prove negligence existed which resulted in your accident. If you've fallen on someone else's residential or commercial property and it is found they could have prevented it, they may be held financially responsible. Your Deerfield Beach Slip and Fall Attorney will gather the evidence he needs to help build a strong case for you. He will find any witnesses to your fall and get their statement, take photos of the accident scene, secure any available video surveillance, and obtain any other evidence he can find. You can count on Robert Gluck to fight hard for you. 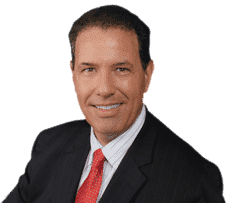 If you hire a Deerfield Beach Slip and Fall Attorney like Robert Gluck, you can rest assured you will be in excellent hands. Studies have shown you are likely to receive a higher compensation if you seek legal representation than if you try to prove your case on your own. You shouldn't have to go through this ordeal by yourself. We will be sure to help you every step of the way.